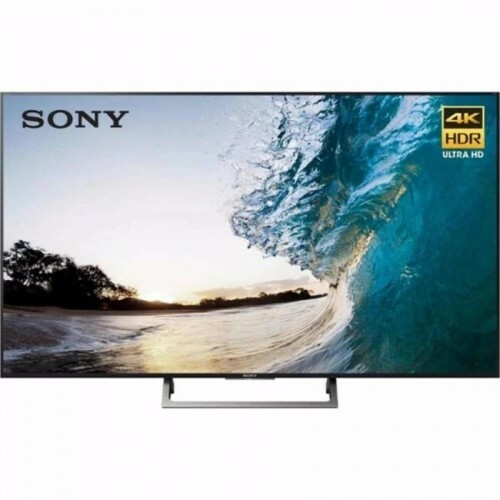 Sony KD-49X7000E 4K (3840x2160) LCD backlight 49" smart TV can maintain detail with X-Reality PRO, Motionflow XR 200 & Live Colour technology provides videos with exceptional detail and more dynamic look with High Dynamic Range (HDR). This amazing device can deliver music, dialogue and surround effects with greater clarity through ClearAudio+ processor. It ensures greater connectivity with 802.11b/g/n Wi-Fi & ethernet for enabling smartphone for photo sharing & screen mirroring. Moreover, it provides one video input, audio output, headphone output and three HDMI & USB ports for convenience. Purchase Sony 4K Smart TV at best price in Rangpur, Sylhet, Khulna, Dhaka & Chattagram. Order online to have the delivery at any location inside Bangladesh, enjoy the luxury of Star Tech online shop.